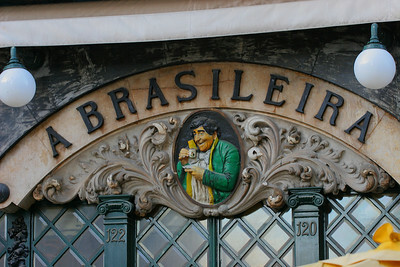 Front wall of the famous "A Brasileira" confeiteria, Lisboa, Portugal. 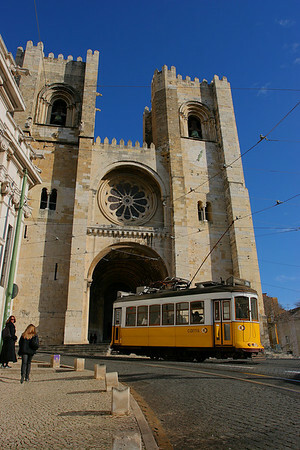 Tramway cose to a cathedral, Lisboa, Portugal. 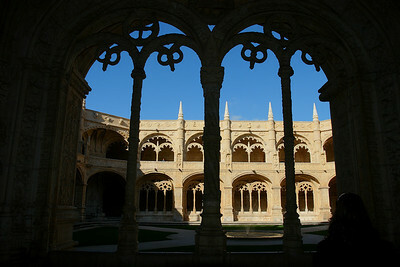 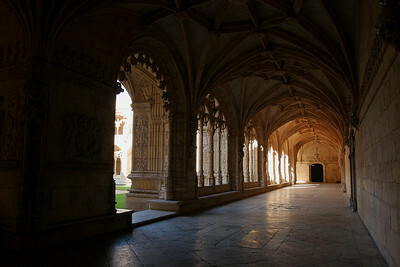 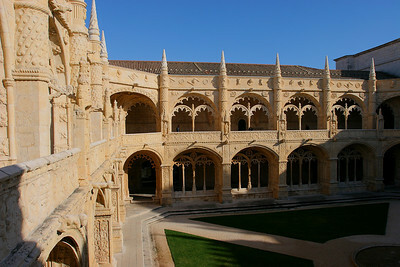 Mosteiro dos Jeronimos, Lisboa, Portugal. 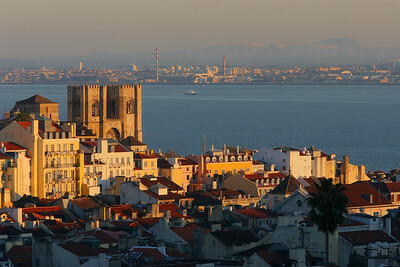 Overview of the city with the Tage river in the background, Lisboa, Portugal. 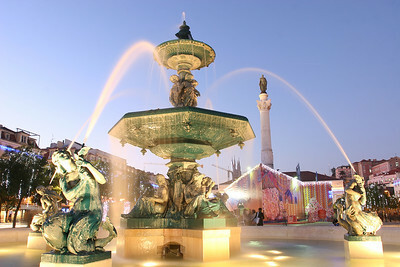 Fountain from the Rossio square, Lisboa, Portugal. 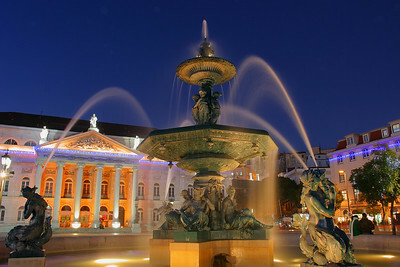 Teatro Nacional Dona Maria II and a fountain from the Rossio square, Lisboa, Portugal. 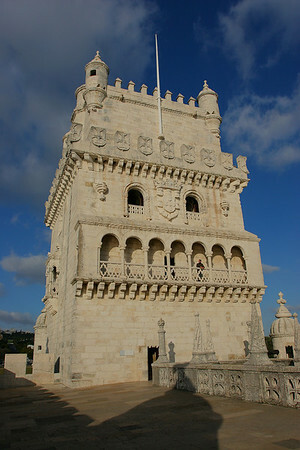 Torre de Belem, Lisboa, Portugal.